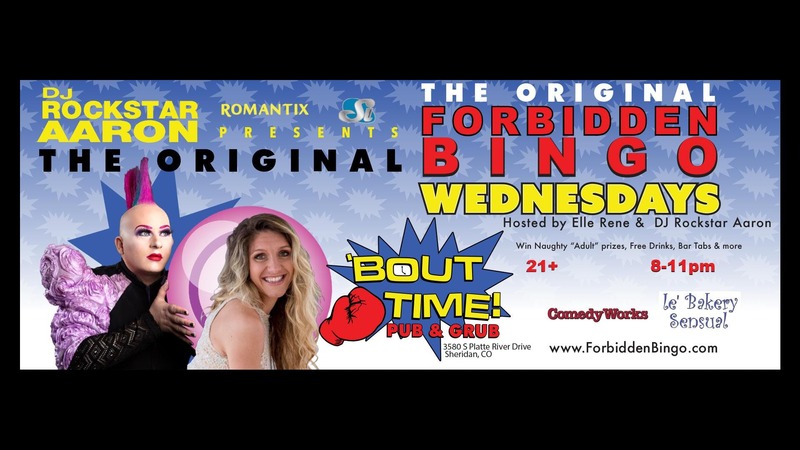 Win naughty prizes at the original Forbidden Bingo every Wednesday at 'Bout Time Pub & Grub with Elle Rene & DJ Rockstar Aaron. Seating is first come, first serve. Prizes include:- Naughty toys from Romantix & Si Novelties - pair of Tickets to Comedy Works- a few Free Drinks- Grand prize of a Bar Tab Forbidden Bingo is a 21+ event and completely free to play (there is no charge for Bingo Daubers or Bingo Cards) - Tips suggested.